Natalie McHaffie built two Nutshell Prams in her living room for her grandchildren. 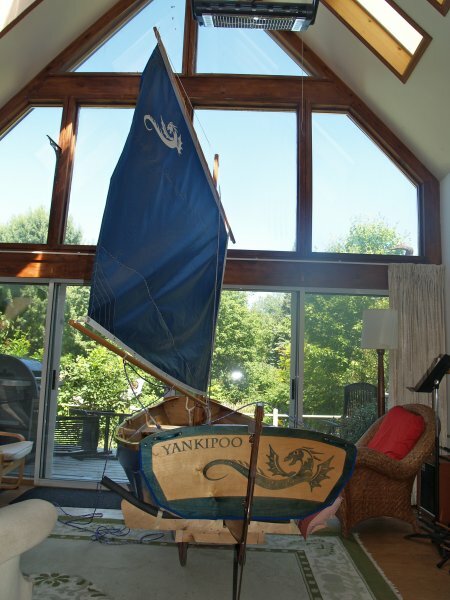 Grandson Yann’s “Yankipoo” has an inlaid transom with the boat’s name and dragon logo. 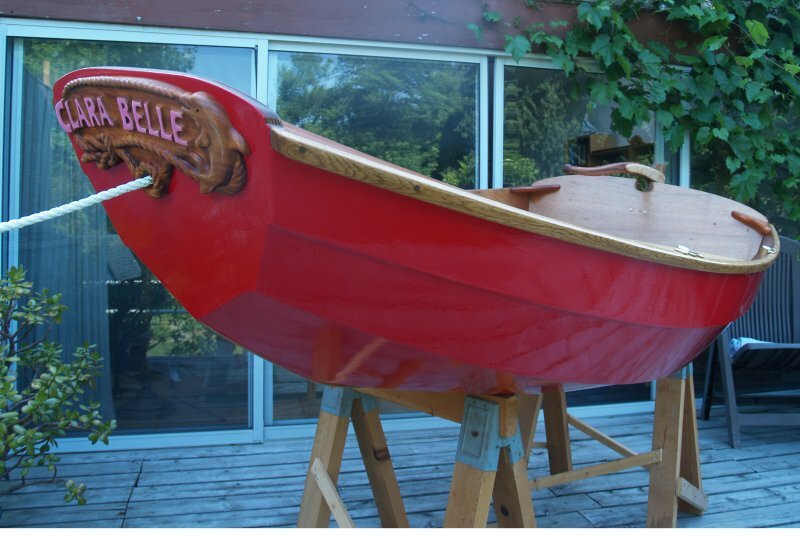 The bow of granddaughter Clara’s “Clara Belle” is decorated with the name, a dolphin and a knotted rope border carved in teak. 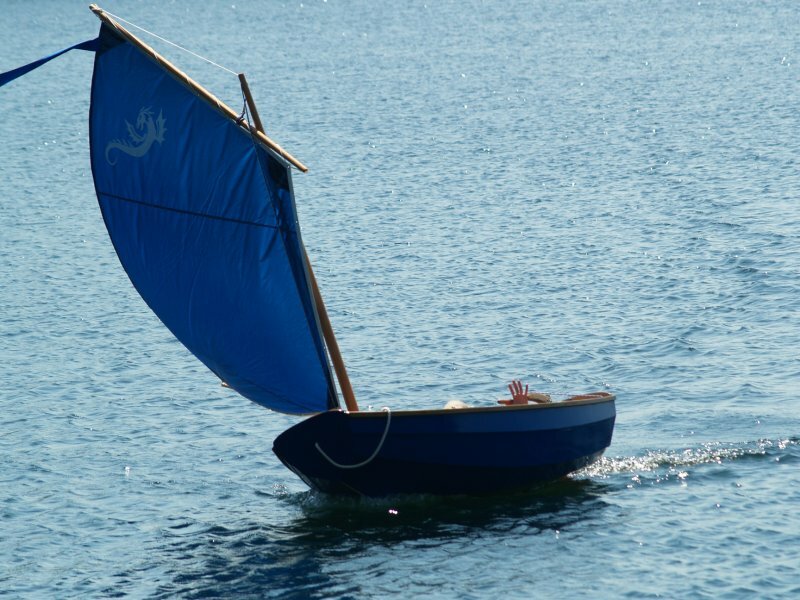 Yankipoo was launched in July, 2011 for Yann’s 8th birthday. 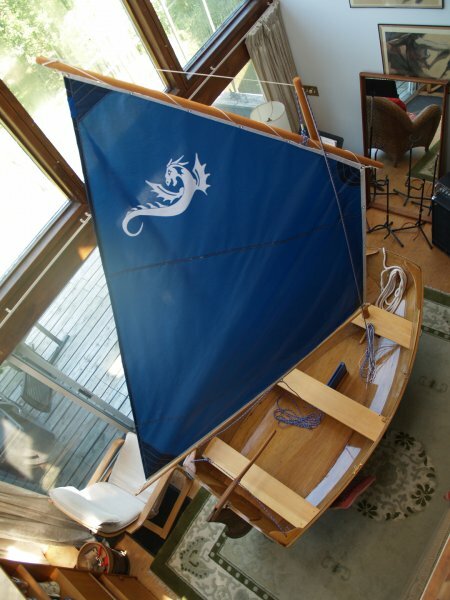 Clara Belle was launched July 1, 2012 for Clara’s 6th birthday. 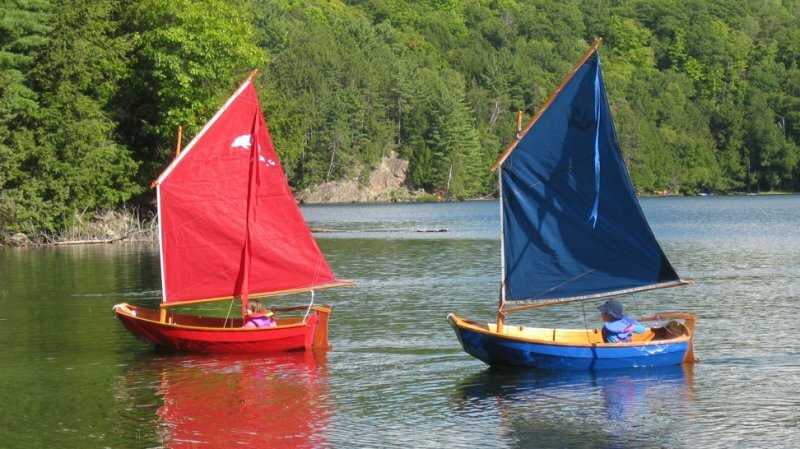 Both boats are sailed by family and neighbours on Lake Saint Charles in the Gatineau hills in Quebec, Canada.